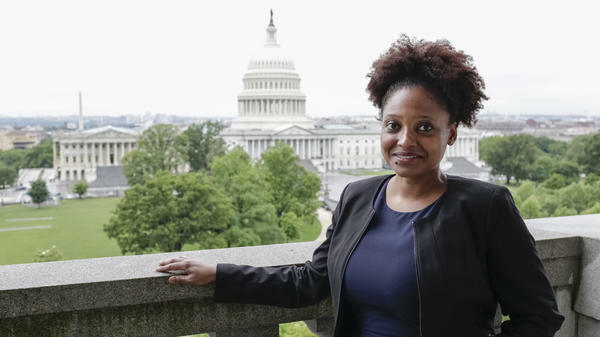 Librarian of Congress Carla Hayden said in a statement that Smith's work "brings history and memory to life" and "calls on the power of literature as well as science, religion and pop culture." The job doesn't come with a lengthy description. The Library of Congress "keeps to a modest minimum the specific official duties," as the statement put it, so each new poet can have maximum freedom. But the library notes that many recent poet laureates have sought to expand the audience for poetry. In recent years, Smith has been exploring other forms. Among other things, she's currently working on two operas. One, with composer Judd Greenstein and video artist Joshua Frankel, is about two competing visions of progress in New York City. The other, with composer Gregory Spears, is about the legacy of slavery "and how it shapes our sense of what is possible for moment to moment in our everyday lives," she says. She has also written well-received nonfiction. Her recent memoir, Ordinary Light, describes her mother's death from cancer and explores her experiences growing up black in suburban Northern California reared by parents with deep roots in the American South. "I feel that as a person of color I've always been interested in the stories that are quiet and the stories that often get overlooked," Smith says. "I think that inevitably I'm aware of these margins and I'm curious about them because I know what it feels like to be [outside] of one." As poet laureate, she says, "I think it will be very easy to say, 'Let's have a diversity of voices, perspectives, experiences, aesthetics that we draw from. And let's listen.' "
Her Pulitzer Prize-winning 2011 collection, Life On Mars, explores the infinite expanses of space and plays with the tropes of science fiction. It also draws on her father's experience as an engineer on the Hubble Space Telescope. Smith tells NPR that poetry, as a form, is comfortable with the expansion from the personal to the cosmic. "It's most closely akin to the logic of our dream lives," she says. "I think poems trust that quick associative leaping, that disruption of the ordinary. " Smith says she's been thinking, lately, about how people turn to poetry in fraught times. "It's often those large moments where big things happen, where loss occurs — or in moments of isolation, where a voice on a page that's saying, 'I have lived, I have felt, I have questions, and I have wishes,' where that's consoling." "What excites me is that I'm an ambassador for poetry, which is something that I wholeheartedly believe in and that has been an anchor and a force of stability and consolation throughout my life," she says. "I think that's good news."